In Part 2, I described how my interest in improving dispute resolution theory led to the development of the Stone Soup Project. This part describes how my interest in improving legal education relates to this project. It suggests ways that faculty can be creative in incorporating more of the real world into their teaching, particularly using class sessions like focus groups in virtually any course – not just traditional ADR courses. These classes are easy to plan and don’t take a lot of extra time. I have focused on legal education reform for a while. In 2010, Jean Sternlight and I published The Potential Contribution of ADR to an Integrated Curriculum: Preparing Law Students for Real World Lawyering. This led to the development of the Legal Education, ADR, and Practical Problem Solving (LEAPS) Project of the ABA Section of Dispute Resolution, which some of you worked on. In 2012, I organized Missouri’s annual DR symposium and summarized it in the introductory essay, Reforming Legal Education to Prepare Law Students Optimally for Real-World Practice. The need for practical education is reflected in sociolegal scholarship about pervasive “gaps” between the “law on the books” and the “law in action.” Moreover, anyone who has practiced law and/or ADR knows quite well that the theory we teach in law school often isn’t the way things work in practice. Faculty frequently notice this when judging competitions with practitioners as fellow judges, as the two groups regularly have very different perspectives. There have been – largely unsuccessful – efforts to increase practical training in law schools for more than a century, as documented in Jean’s and my piece. The 2012 symposium came at a time of a crescendo of critique about limited practical education. The ABA has adopted a standard requiring students to take at least six hours of experiential courses, including simulations, clinics, and field placements. This is a baby step forward, but presumably it is as far as the ABA and many schools are prepared to go. 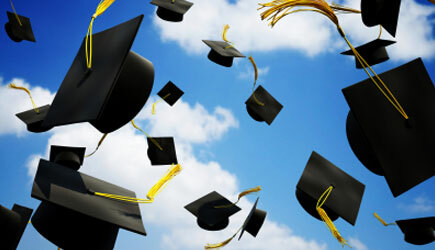 People sometimes talk about law schools producing “practice-ready” graduates, but that’s a pipedream for most students. I think it’s a scandal that we license lawyers to practice without a year of full-time supervised practice experience, but obviously that’s a bridge way, way, way too far for the system of licensing in the US. Including simulations in a wide range of courses generally is better than not including simulations. But simulations have their own problems, as highlighted in Nadja Alexander and Michelle LeBaron’s provocative chapter, Death of the Role-Play, in Mitchell Hamline’s first Rethinking Negotiation Teaching volume. Let’s face it, many of the simulations we use, which often last only 30-60 minutes, are pretty stale and unrealistic. In such short one-stage simulations, it’s hard for students to really get into role and they sometimes don’t take the simulations as seriously as we hope. So I encouraged colleagues to use multi-stage simulations, extending for several class periods. I used MSSs that would run over 2-7 classes, which I thought were a great improvement but still missed a lot of realism. So one of my motivations for developing the Stone Soup project was to add more realism to legal education. In the LEAPS Project, we recognized that, for many reasons, colleagues often don’t incorporate what we called “practical problem-solving” in their courses. We catalogued various barriers, causes for reluctance, underlying interests, and possible responses. I think that one of the major reasons is status quo bias. Having taught the same courses many years in a row, I really get that. If it ain’t broke – and especially if it’s humming just fine, don’t fix it. Class time is limited and most of us can’t include everything we want as it is. Adding something new generally requires cutting something we think is important. We all are busy, and revising our courses may not be as high a priority as publishing or other activities. Doing something that requires more of our time also may be a problem. To add a Stone Soup activity to your courses may require overcoming the status quo bias, presumably because you believe that it’s worth your time and adding this bit of realism is more important for your students than whatever you would cut. In Part 2 of this series, I described why I think that having students interview people about actual cases is an especially good assignment and I will elaborate on this in future posts. But an assignment requiring all students to conduct individual interviews wouldn’t work well for some faculty and some courses. To teach students about the real world, one colleague requires his family law students to observe court proceedings, which he says is an “eye-opening experience” for many of them. Unfortunately, observing actual ADR processes usually isn’t possible other than in clinical or externship courses. And much legal practice doesn’t happen in open court. Many faculty invite guest speakers to their classes. Using a focus group process is similar though presumably more systematic in selecting speakers and questions. Although focus groups typically are used as a research method, what I am suggesting is for teaching. In virtually any course, you can run a class period like a focus group, inviting a panel of speakers representing a variety of perspectives. For example, in a mediation course, you might invite a plaintiff’s lawyer, defense lawyer, insurance representative, and a mediator. Or you might invite mediators who handle different types of cases such as community, family, civil, and environmental cases. You would ask speakers to respond to each other, providing a fuller picture of the important issues and how they look through the eyes of the different speakers. You would decide on a few questions to pose to the panel and ask follow-up questions probing about how things work in practice. You should pick a small number of general questions – perhaps five and certainly no more than ten – to leave time for follow-up questions. Whenever appropriate, you should ask speakers to give examples of actual cases, obviously omitting any identifying information. You should expect to actively moderate the conversation and allocate the time because these conversations typically have a life of their own. You probably won’t have time for all the questions people would like to discuss and you may need to decide to skip lower priority questions so that you can get greater depth in more important issues. To give you an idea of how to run a focus group, here’s the focus group protocol developed by the ABA Section of Dispute Resolution’s Task Force on Improving Mediator Quality. This was drafted by committee and so it is overkill. Indeed, probably none of the focus group sessions covered all of the questions. But this protocol can give you an idea of some questions that you and your students might ask. If you have a focus group class near the end of a semester, you could develop a list of questions throughout the semester to ask in the focus group session. This would be a fitting last class in the semester. Most law school faculty teach non-ADR courses and may assume that Stone Soup focus group classes wouldn’t work for them. Not so. I have been emailing with colleagues about the courses they will teach next year and some wondered if a Stone Soup activity would work in their courses. One colleague will teach employment discrimination and labor law courses next year, which would provide fabulous Stone Soup opportunities. Many discrimination cases go through processes with the EEOC or state counterparts and it would be great to learn the perspectives of officials in those agencies. Many of these cases go through mediation and it would be good to get a plaintiff’s lawyer, defense lawyer, mediator, and corporate human resources official to discuss how they handle cases. Many discrimination complaints are handled entirely within the employer’s organization and it would be good to ask HR folks in business and government organizations about how those processes work. On the other hand, some cases go to trial and it would be good to hear about which cases actually make it to trial, how they differ from those that don’t, what the court process is like, and what are typical court outcomes. Labor law courses also present marvelous Stone Soup opportunities. It would be good for students to learn about the realities of collective bargaining as well as mediation and arbitration of labor grievances. Obvious candidates to invite include labor union and management officials, mediators, arbitrators, and officials from government labor relations agencies. In labor law and employment discrimination courses, it would be great if you could include individual parties who went through one of the processes, though that could be too sensitive. One colleague will teach professional responsibility, which is another course that lends itself to a fantastic Stone Soup focus group class. I think it would be terrific to have a panel of lawyers talk about ethical challenges that they faced and observed in other lawyers. Other speakers might include officials from state bar disciplinary agencies, and lawyers who prosecute and defend legal malpractice cases. Civil procedure courses cover discovery and pretrial motions, which consume so much of litigation these days, and faculty may not be able to portray the reality of litigation practice as well as practitioners. I think that it would also be interesting to hear more about pleadings. Michael Moffitt wrote a wonderful article, Pleadings in the Age of Settlement, describing how pleadings don’t fulfill their ostensible purposes but crank up adversarial tensions. It would be interesting to learn if there are ways that lawyers sometimes draft and serve pleadings that are more constructive. Wouldn’t it be wonderful to have a panel of experienced litigators talk with your class, especially if you don’t have a lot of litigation experience yourself? In criminal law courses, asking prosecutors, defense counsel, and judges to discuss the realities of plea bargaining as well as litigation practice should be extremely instructive. Stone Soup focus group classes are pretty easy to plan and don’t take a lot of extra time. You don’t have to assign students to write any papers (and thus don’t need to read extra papers), though you could do so if you want. If, instead of doing a focus group class, you require all students to conduct interview and write papers, they would be more actively engaged in learning about the realities of practice and you would probably produce more learning. But this assignment may not work in your courses. If not, a focus group class could be a good alternative. If you don’t know of lawyers to invite, your alumni office may help identify suitable alumni who would be thrilled to be asked to speak. You might check with local, state, and national bar and other professional associations to help recruit good speakers. Some speakers may appear by video. If you hold a focus group class, you might open it to the whole school. If your normal class is only 50 minutes, you might schedule a focus group session for a longer period, perhaps 90 minutes, so that you can get full advantage of practitioners’ experience. Scheduling the class in the late afternoon may avoid scheduling conflicts with other classes and make it easier for practitioners to participate. Many faculty enjoy teaching because they learn new things when they teach. Adding Stone Soup focus group classes in their courses creates the opportunity for more and better learning about the reality of practice. Not only would the students gain new knowledge, but probably the faculty and speakers would too.